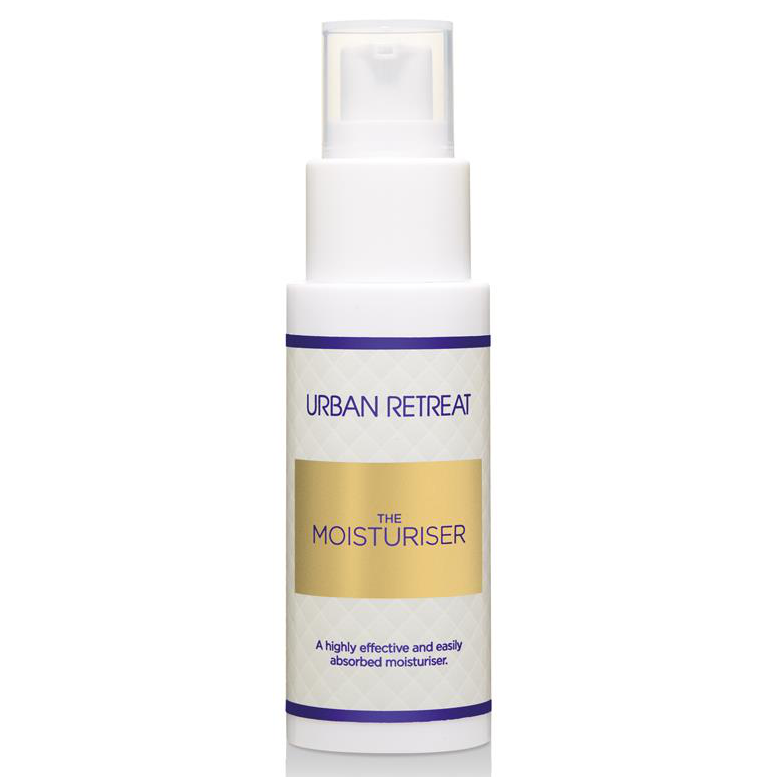 Rich in Vitamins E, B and essential fatty acids, THE Moisturiser rejuvenates skin improving overall elasticity, tone and firmness too. Rosehip Seed Oil and Jojoba Oil nourish dry skin to leave it deeply nourished and supple. THE Moisturiser also includes Sodium Hyaluronate to draw in and retain moisture for added hydration whilst Oat Oil and Shea Butter create a protective veil over the complexion to lock in moisture. 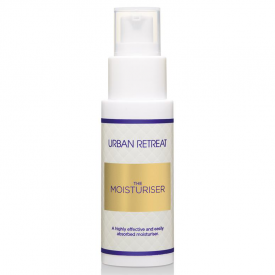 THE Moisturiser has an almost gel like consistency for deeper penetration into the skin without any greasy residue. 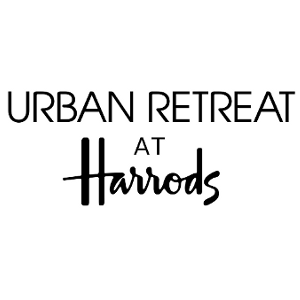 Available online and in store at Harrods. 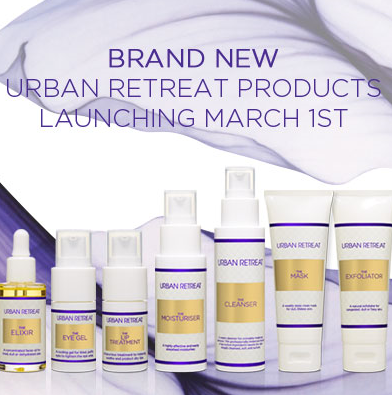 Use morning and night after cleansing with Urban Retreat THE Cleanser. Apply a five pence piece sized amount to fingers and massage between palms to warm product. Apply directly to neck and face in an upwards motion. Aqua · Cyclopentasiloxane · Cetearyl Alcohol · Aloe Barbadensis (Aloe Vera) Leaf Juice · Polysorbate 20 · PEG-100 Stearate · Glycerin · Glyceryl Stearate · Phenoxyethanol · Dimethicone · Cocos Nucifera (Coconut) Oil · Rosa Canina (Rosehip) Fruit Oil · Simmondsia Chinensis (Jojoba) Seed Oil · Butyrospermum Parkii (Shea) Butter · Carbomer · Avena Sativa (Oat) Kernel Oil · Triticum Vulgare (Wheat) Germ Oil · Panthenol · Tocopherol · Sodium Hydroxide · Linalool · Citric Acid · 2-Bromo-2-Nitropropane-1,3-Diol · Pelargonium Graveolens (Geranium) Oil · Cananga Odorata (Ylang Ylang) Flower Oil · Citronellol · Lavandula Angustifolia (Lavender) Oil · Geraniol · Rhizobian Gum · Sodium Hyaluronate · Benzyl Benzoate · Benzyl Salicylate · Farnesol · Chlorphenesin · Limonene · Citral · Parfum. This cream was soft and gentle on my sensitive skin. The moisturiser smelt divine and I would love to use it everyday; if I could afford it. Smells fab: lavender, rose, geranium and ylang ylang. Softens and moisturises skin providing a soft finish. - A pleasant fragrance that predominately smells of geranium. - A cream with a gel-like consistency that soothes, cools and firms the skin. - Absorbs very quickly, leaving the skin feeling velvety smooth. - Didn't irritate my sensitive skin. A good facial moisturiser that smoothes and firms the skin. "This cream was soft and gentle on my sensitive skin. The moisturiser smelt divine and I would love to use it everyday; if I could..."